Law firm marketing has had many envelope-pushing examples over the years that have helped shape the boundaries. 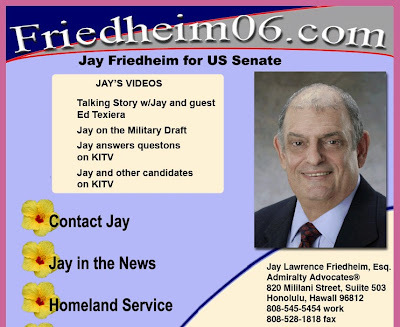 An early parameter-pusher was Jay Lawrence Friedheim, a stand-up comedian turned lawyer and Republican candidate for Hawaiian Senate (1998, 2004, and 2006). Friedheim brought his comic approach to his early-90s marketing efforts. 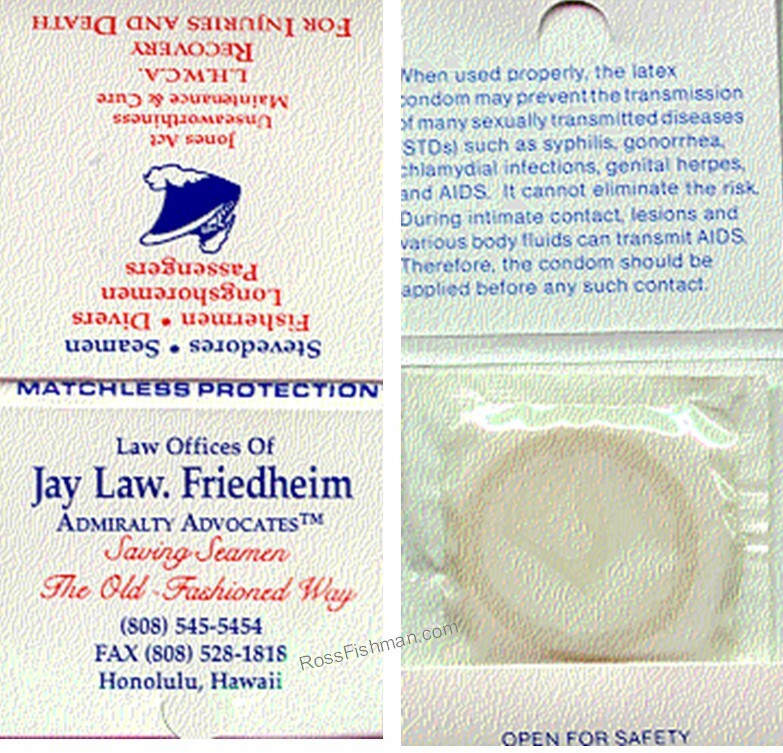 He creatively executed his maritime-law slogan, "Saving Seamen the old-fashioned way" with a matchbook containing a condom. 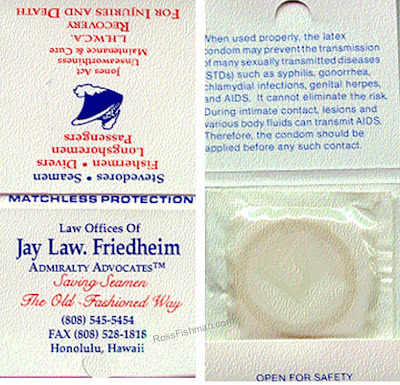 Offering "Matchless Protection," it was both an eye-catcher and buzz-builder. He was kind enough to send me one back then when he launched the campaign. 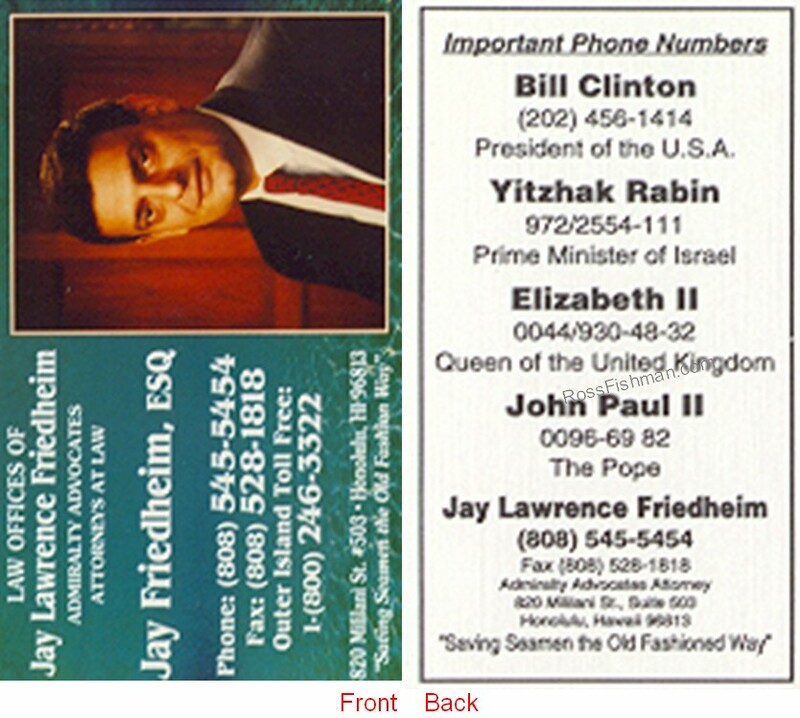 Another example was Friedheim's thoroughly non-traditional business card - showing his photo on the front, with "Important Phone Numbers" on the back. 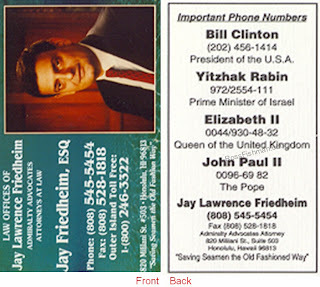 Those include President Clinton, Prime Minister Yitzhak Rabin, Queen Elizabeth II, Pope John Paul II, and . . . Jay Friedheim. The above images are all (c) Jay Lawrence Friedheim.